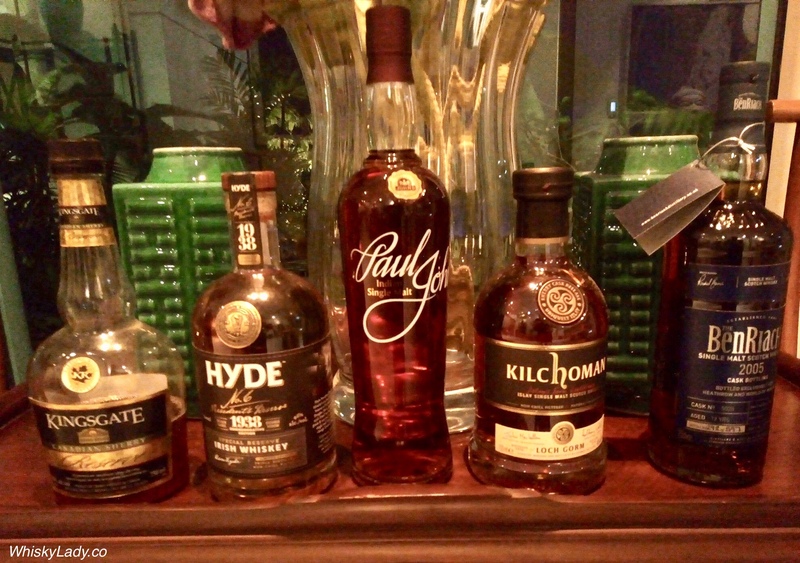 So what does an Irish whisky have to do with Dubai? It just so happens this particular bottle was enjoyed in Dubai with an Irishman who truly appreciates his Irish whiskies. And he wasn’t the only one… our gathering of gents had many who enjoy their whiskies… however truth be told, slowing down, sniffing and discussing the aromas before the first sip was a departure from their usual approach. However they were kind enough to indulge my light admonishment to be a bit patient. When I shared this was the luxury brand of Irish single malts, this caught their attention. And it truly is. 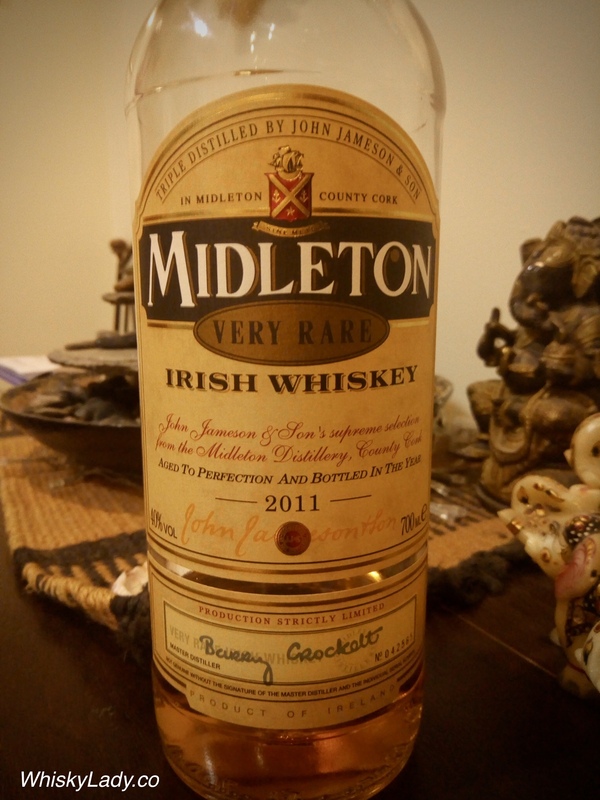 Not only is Midleton the Jameson groups premier brand, this particular bottle is a rare collectable one… these day if you are very lucky, you may find it online for around €500. 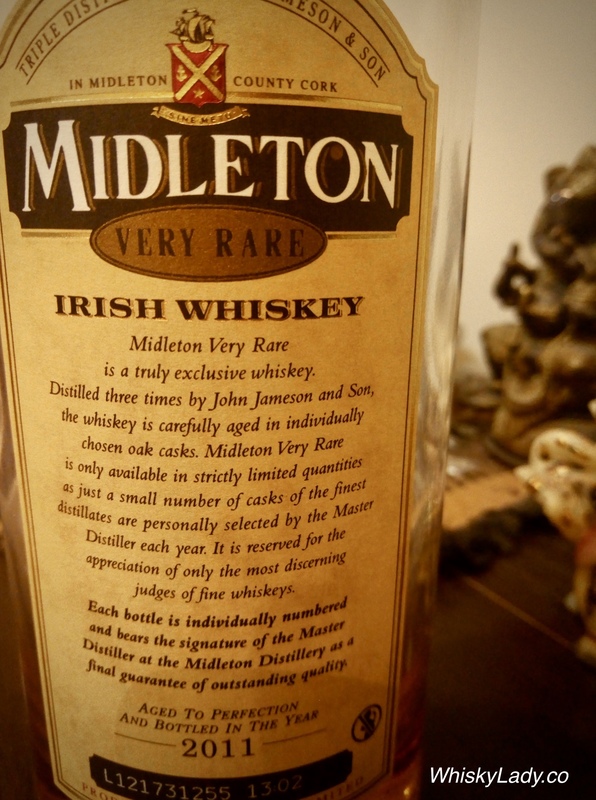 Midleton “Very Rare” is an annual limited release started in 1984 to celebrate the best of Midleton (read Jameson) distillery. 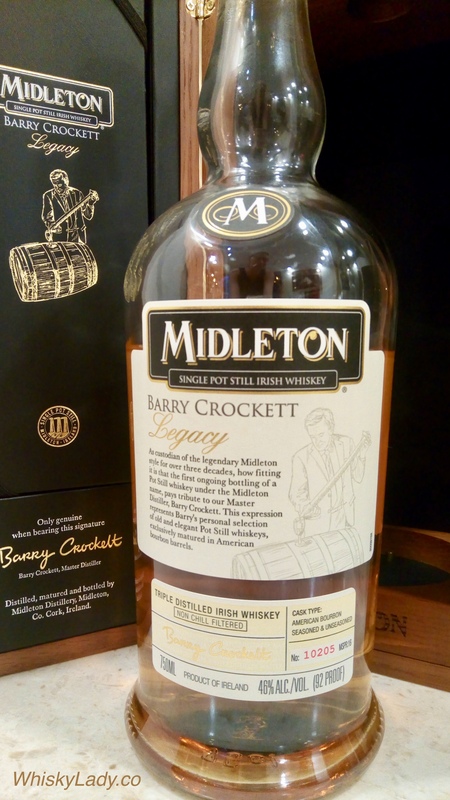 Each year these bottles tend to fly off the shelf and for Midleton fans, half the fun is comparing the different expressions – particularly the “old” which had their retired master distiller Barry Crocket’s involvement vs the “new” (2014 onwards) which purely reflect their master distiller Brian Nation’s hand in the blend. The quality and character of this particular blend lends an easy comparison with a Highland malt. We described it as quite “spring like” with a fresh appealing and accessible approach. Our somewhat biased Irish sampler declared this “Simply the best!” However there clearly was concurrence. We discussed how there were no harsh notes… and would put this in the category of a lovely easy drinking dram. 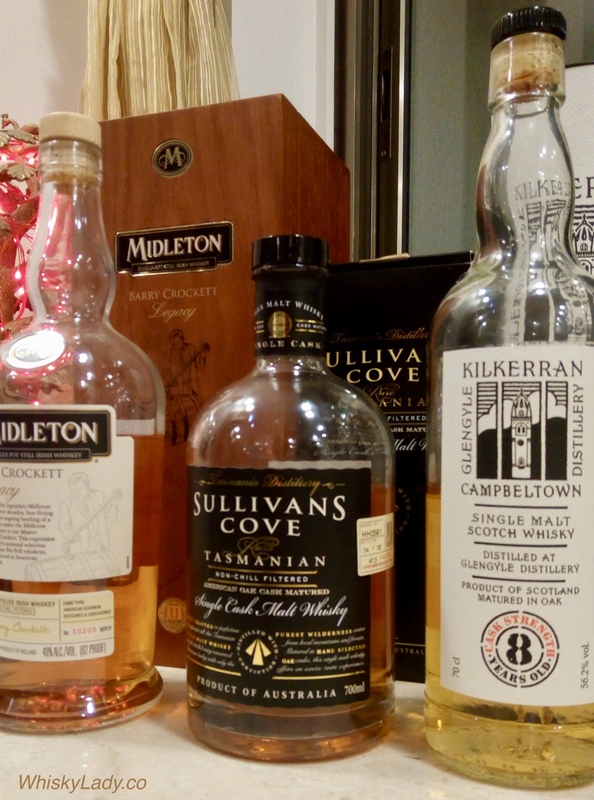 We spoke of what makes Irish whisky distinctive – tends to be triple distilled, not malted, limited use of peat and judicious use of ex-sherry casks. As the last drop was drained… there were satisfied murmurs of appreciation… what a wonderful way to kick off our evening! 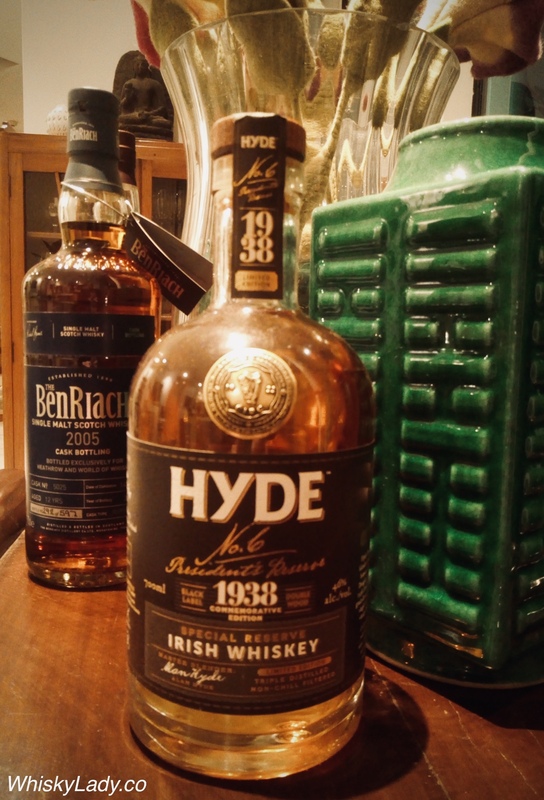 Thanks to a mutual whisky aficionado, I was introduced in Mumbai many months ago to two of the merry men behind Ireland’s new whiskey brand – Hyde. Note the deliberate use of brand not distillery… as these folks are building a name for themselves as “bonders” working with existing distillers to craft a range of whiskies with ambitious plans to some day some way have a distillery of their own. What did they send our way? 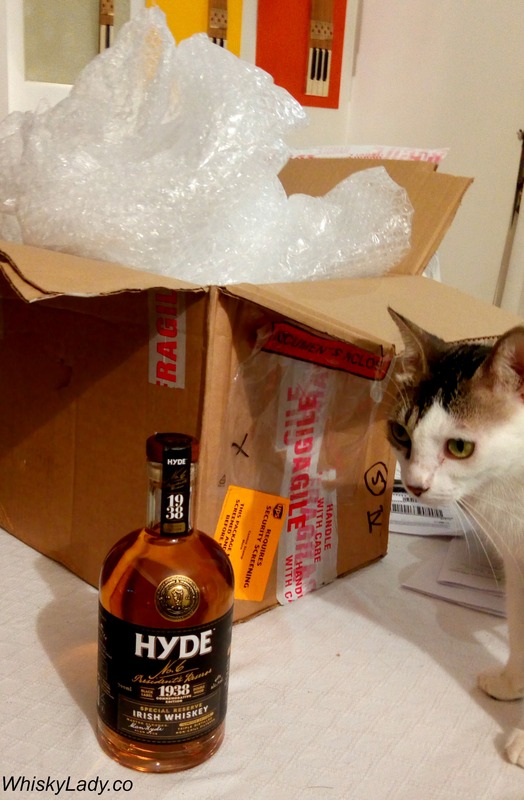 Well… A curious miss greeted the Hyde on its arrival… and then I waited an exceedingly long time to find the right evening to share this bottle… So what did we find? As the gents knew the theme was some dimension of sherry, speculation turned to it certainly not being fully matured in an ex-sherry barrel but instead only finished and that too not a PX but perhaps Olorosso. It was a pleasant beginning, simple, sweet with the nose probably the most interesting element. What do we know about this whiskey? First off, it is a blend an 18 Year Old Irish single malt and 8 Year Old Irish single grain. Both were first matured in bourbon casks before being finished together for 9 months in Oloroso sherry casks. It was named in honour of Douglas Hyde, Ireland’s first president, who was inaugurated on 25th June 1938. Nose – Delightfully floral notes of vanilla, sweet, honey, caramel, chocolate, and mixed fruit, infused with spices. Taste – Wonderfully smooth yet complex, creamy yet fruity with notes of caramel, honey, apricot, and apple, with a silky rich texture. Finish – Rich & Oaky. It lingers in the mouth with a rich long finish. Sherry’s effect on whisky can be a marvel. And I wanted to do something a bit different for our Bombay Malt & Cigar gents to push the boundaries beyond the known sherry drams like Aberlour, GlenDronach, Glenrothes, etc. Next, I introduced a “reference” pour. I said nothing about it – merely to smell (not sip) with a request between each whisky to go back to the “reference” to recalibrate senses and compare. It didn’t take long til they realized the “reference” wasn’t whisky at all but instead a sherry… with speculation it may be a “cream” or sweetened avatar rather than a dry fino or amontillado. However this Kingsgate is now known as Apera with an explanation that it is medium dry Oloroso sherry “style” dessert wine. This 2013 nod from to EU regulations recognizes that a “true” Sherry can only come from the Spanish triangle. From Ireland, picked as an appetizer, the bottle stated it was finished in Sherry. What made it unusual is that it is a new brand, released to help promote the Hyde name before their Hibernia distillery in Cork is fully producing. This was the biggest surprise – none imaged it could be from India! We were mighty impressed with what the folks from Paul John produced with four years in ex Bourbon then 3 years in ex Sherry casks. It also opened up beautifully with a bit of water. A true class act. Selected just to be sure we had at least ONE proper single malt in our evening. Gorgeous and astounding how at 59.2%, not a drop of water was desired. A pure peat monster tempered with 100% sherry from Islay. Not everyone’s tipple but certainly demonstrated how peat and sweet can combine! Just click on the whisky links to find out even more about what we discovered! A few months ago at the soft launch of “The Quiet Man”, Michael Morris told the tale of how the Irish Distillers Ltd team, in their single minded focus to revive the industry and bring Jameson to the top, intended to drop Jameson Redbreast completely. However after hue and cry from Redbreast fans, decided to drop the “Jameson” preface instead to sit back and watch in amazement as Redbreast became so popular, it ensured pot still whiskies continue to have a special place on the world whisky map! So it was entirely fitting that our Whisky Ladies Irish evening with Jameson Brand Ambassador Ciaran Hanton closed with the best known Irish pot still whiskey – Redbreast. Palate – Very spice forward, nutmeg, there was a bit of a debate on whether it was balanced and complex or sharp and bitter or smooth and sweet. Take your pick! As we continued to sip, most of us finally settled on sweet meats and raisins. With the Redbreast, Ciaran shared how it got its name from the friendly Robin. He also noted how, like Green Spot and Yellow Spot, it began as a bonded whiskey – meaning the stock was purchased by the merchant, in this case Gibeys – and further matured in their casks. As a wine importer, Gibeys had access to sherry casks which found new life maturing whiskies. 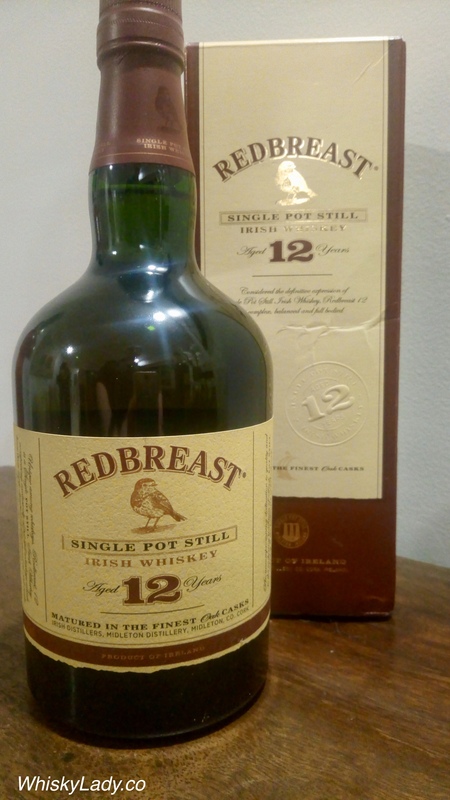 Since then much has changed however there is no question Redbreast became the worlds top selling Irish pot still whisky. And what did we think? Truth be told, the Yellow Spot was a hard act to follow. There was no doubt the sherry influence and that this was a sharper spicier dram than the other pot still whiskies we tried that evening. All in all, it was a merry night of good company, sociable drams with tales told to colour and spice up the experience even more! What else did we have in our Irish night? Our experience was courtesy of Pernod Ricard, tasted from a bottle opened in August 2018. When I first tried Yellow Spot in 2013, it stood out for its approachable yet complex character. Over the years, I’ve kept my eye out for it, yet always found it in more sociable settings like a favourite bar in Singapore and not a proper “tasting” environment. So when there was an opportunity to introduce Yellow Spot with Jameson’s Brand Ambassador Ciaran Hanton to our Whisky Ladies of Mumbai – it was an enthusiastic yes! For many ladies, this was the “now we are talking” moment. Settling in to sip, savour and enjoy. Quite few shared this was their favourite of our Irish evening. Meantime our Irish whiskey education continued with Ciaran sharing that Yellow Spot is not a “finished” whiskey like those that say start in an ex-bourbon cask then are “finished” for a further time in say a sherry cask. 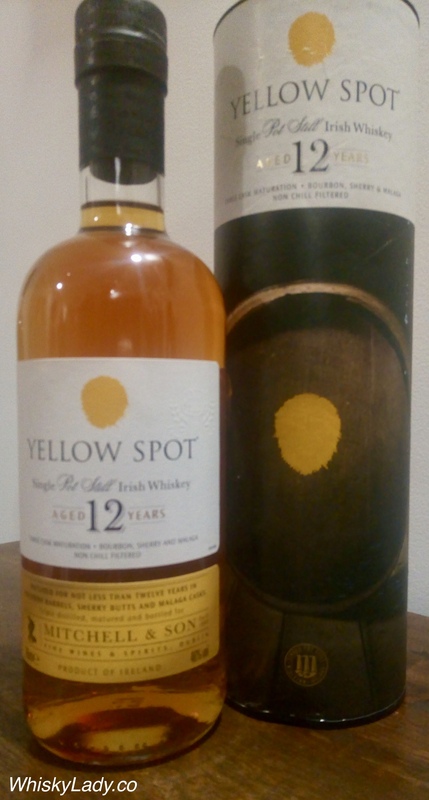 Instead, Yellow Spot gains its character from whiskey that is matured in three separate casks – ex-Bourbon, ex-Sherry and ex-Spanish Malaga – then is blended together. What is interesting is how the Sherry and Malaga, a sweet fortified wine made from Pedro Ximénez and Moscatel grapes, adds a subtle yet discernible elements. What matters most is they come together in harmony to make for an enjoyable dram. Our experience was courtesy of Pernod Ricard, tasted from a bottle opened in August 2018 with Jameson Brand Ambassador Ciaran Hanton. Naturally there is a story to tell… Jameson’s Brand Ambassador Ciaran Hanton shared that the “Spots” began as a whiskey bonder brand. In this case, the Mitchell family used to mark their casks with a spot of colour – denoting different ages. The Blue dollop of paint was for the 7 year, Green for 10 year, Yellow for 12 year and Red for 15 year… of which both the Green and Yellow continue to be produced – just that now the Green Spot has no declared age. It also just happens to be the most popular “Spot” and is slowly becoming available in more places around the globe. What matters most is what did we find? Our experience was courtesy of Pernod Ricard, tasted from a bottle opened in August 2018. 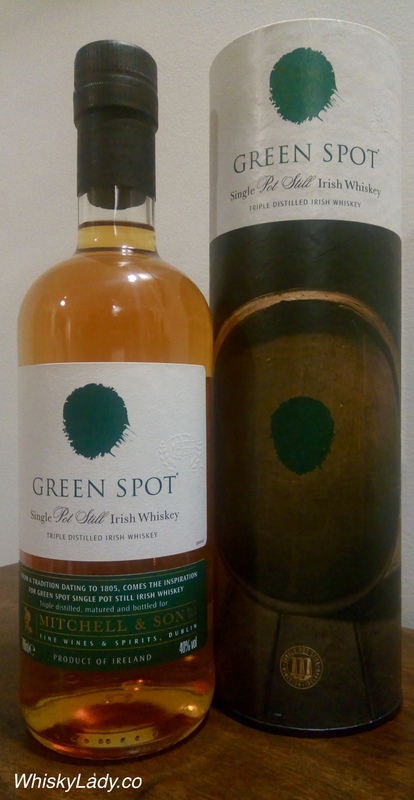 While Green Spot isn’t yet available in India, one never knows, that may change! Whisk(e)y and beer – separate beverages yet found as companions and occasionally as hybrid experiments. Like all the best conversations, the one between Jameson’s Head of Whiskey Science and the Head Brewer of a local craft beer brewery, started at the bar. 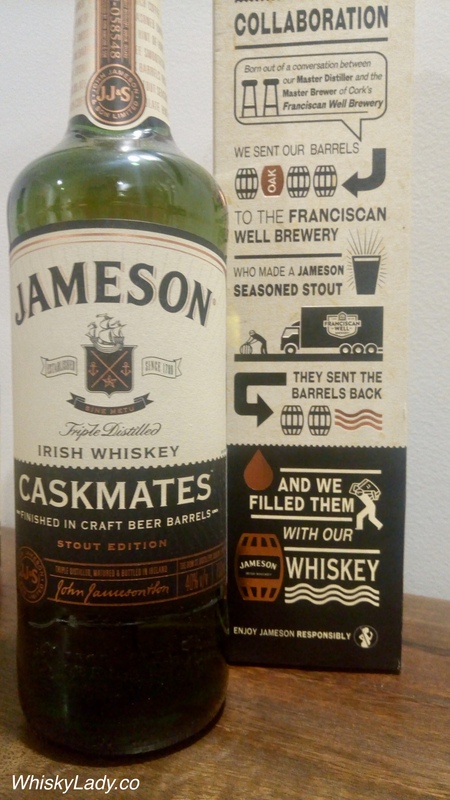 A swapping of whiskey and beer barrels soon after, resulted in Jameson Caskmates Stout Edition – triple-distilled, blended Irish Whiskey that has been patiently finished in Irish craft beer-seasoned barrels. Jameson’s brand ambassador Ciaran Hanlon shared that as Jameson is a mix of malted and approximately 10% unmalted barley, with the unmalted barley adding a creaminess and pepper spice. The thing was, though we could find the cream we didn’t find much spice – at least in this whiskey. He went on to share that unlike some blended whiskies, Jameson is a single distiller blend and attributed the triple distill approach to producing a smoother style. While there is no age statement, Ciaran noted typically Jameson has whiskies from 4-7 years, matured in ex-bourbon, ex-sherry and for this special expression, ex-stout barrels. In this case, the whiskey barrels first go to the craft brewery Fransisco Well to give a little extra whisky “ooomph!” to the stout beer, then the same casks come back to Jameson to work their wonders for six months on the whisky. There was a bit of a divide on this one – some enjoyed the chocolaty goodness, others prefer their Jameson “straight” without a twist. Talk turned to many ladies sharing Jameson was their “gateway” dram into wider whisky explorations. It also is one most found can depend on in a bar to be at a reasonable price point for a reliably good sociable dram. And what’s not to like about that? And the official tasting notes? Nose – An initial aroma of freshly cut hay is complemented by a crisp orchard fruit character – green apples and pears, with a twist of lime zest. Mild pot still spices appear, deepening from green tea to hazelnut and milk chocolate. Taste – The initial sweet mouth coating typical of the Irish pot still inclusion is quickly complemented by the subtle touch of hops and cocoa beans from the beer cask finish. Finish – Long and sweet with milk chocolate and butterscotch. Our Irish experience was courtesy of Pernod Ricard, tasted from a bottle opened in Aug 2018. 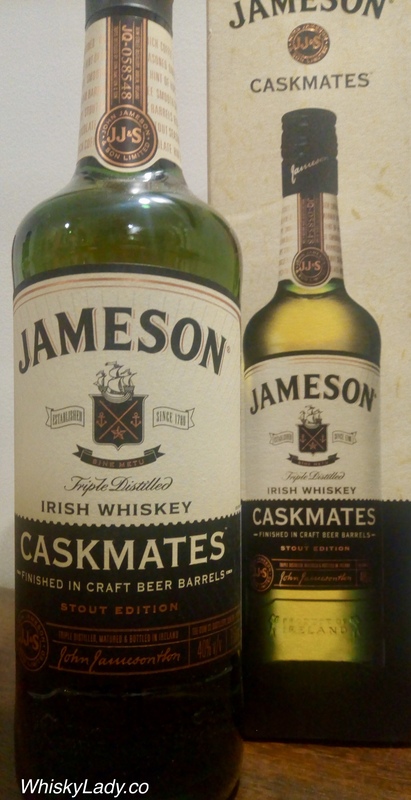 For those curious to explore, Jameson Caskmate Stout Edition is available in India. If anyone asks, what would you suggest for a sociable occasion? Irish whiskey is defiantly at the top of the list! So when the Whisky Ladies of Mumbai celebrated our 3rd anniversary and an opportunity to explore some Irish drams arose, how could we resist? Our friends over at Pernod Ricard kindly offered an evening with their brand ambassador Ciaran Hanton and a few drams. And what did we think? You’ll just have to read on over the next few days as we share impressions of the whiskies while we were regaled with tales of and insights. In the world of Irish whiskies there may be brands a-plenty yet there are relatively few full functioning distilleries that have been around for decades. This is because back in the 1970s the Irish Distillers company decided to close most of their distilleries and create the Jameson Midleton Distillery with its ability to produce a range of styles using its 4 pot stills, 7 column stills for grain, malt and as combined together blends. It was opened in 1975 and since then brings to the world Jameson. Redbreast, Powers, Tullamore Dew, Paddy, Green Spot, Yellow Spot and yes Midleton. While initially stock from the old Midleton Distillery was used in the Midleton Very Rare in the mid-1980s, today it is purely whiskey from the current Jameson Midleton Distillery… and more and more what is being released are pot still expressions like this one. So then who is Barry Crocket? He is their Master Distiller Emeritus … Son of Midleton’s them master distiller, he joined the distillery in 1981 and continued for nearly 50 years… from when the Irish whiskey industry was struggling to clearly making its mark around the world. And today? He is establishing an archive in the house where he was born on Midleton’s distilling history. Water – Add and some found it opened up, bringing more body, spice and perfume. Some preferred with water. Some preferred it au naturel. What a remarkable nose – it kept going through different quite dramatically different shifts. Overall we were convinced this was simply one well crafted whisky. It had a fruity floral no fooling around quality. What fun! What do they have to say about Barry Crocket Legacy? What trio did we have a tryst with in our Untraditional Pedigree Malts eve? We were treated to such a trio on a fine monsoon swept evening in Mumbai… Each was sampled completely blind with the reveal done only after all three were given our full and careful consideration. What did we try in our Pedigree Malts? While none of these are the “traditional” pedigree vintage whiskies, each has a dedication to quality that shines through.